Editor's note: The cargo capacity of the 2018 extended-length Navigator was misstated in an earlier version of this story. DETROIT -- Lincoln's largest luxury SUV is getting a little longer. 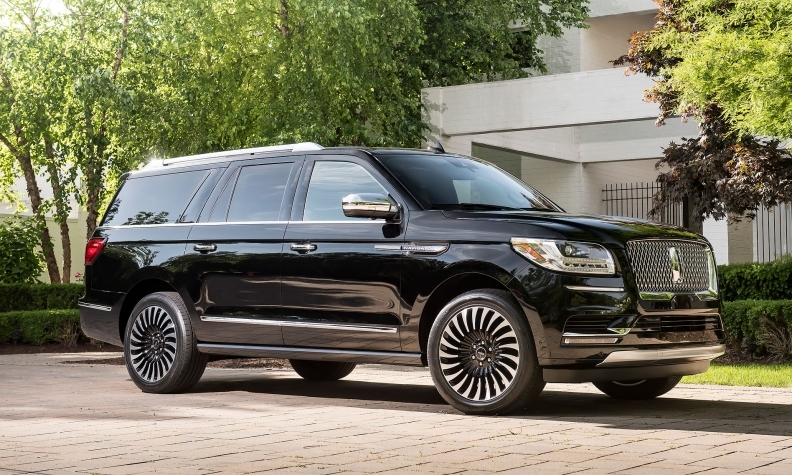 The brand will offer an extended-length version of the 2018 Navigator when the utility goes on sale in Canada this fall, a Lincoln Canada spokeswoman told Automotive News Canada. The longer Navigator available in the United States will offer a new Black Label theme called "Destination," which was inspired by vintage luggage and includes mahogany red Venetian leather and khaya wood laser-etched appliques. It will come in two other Black Label themes: "Chalet" and "Yacht Club." However, the Black Label themes are not available in Canada, Lincoln Canada told Automotive News Canada. The roomier Navigator that will arrive in Canada measures 563.6 cm (221.9 inches), about a foot longer than the regular version, which debuted earlier this year at the New York auto show. It features 0.4 more cubic metres (15 cubic feet) of cargo space thanks to a storage compartment below the floor of the third row that's not on the smaller model. It also has larger second-row doors and a wheelbase that's nearly 25 cm (10 inches) longer than the regular version. "All of our vehicles are designed to make every journey as enjoyable and effortless as possible," Kumar Galhotra, Lincoln's president, said in a statement. "The extended-length Navigator reinforces our commitment to exceeding our client's expectations." Both the long and regular versions come with a new 3.5-litre V-6 engine paired with a 10-speed automatic transmission that gets 70 more horsepower and about 40 more pounds-feet of torque than the outgoing model. There are no power differences between the two versions despite the added length. Lincoln did not disclose pricing.